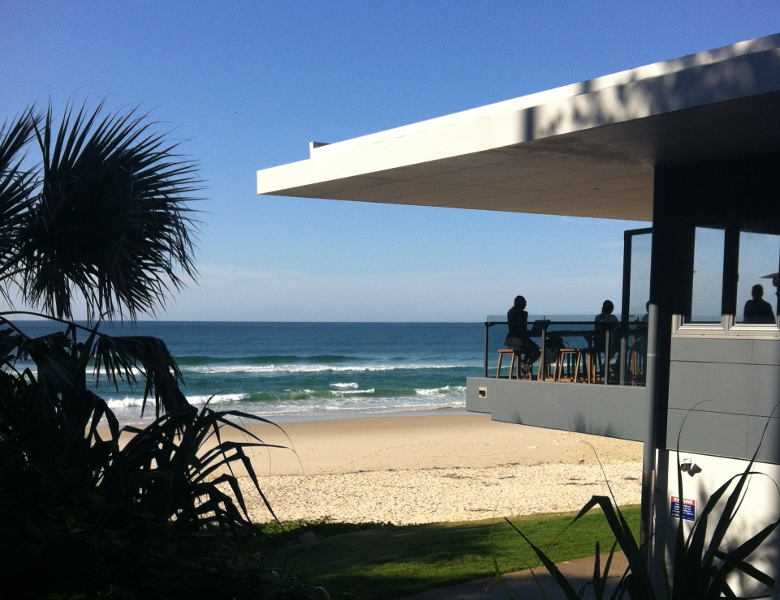 Enjoy the magnificent view over Lighthouse Beach upstairs at the Surf Club at the Lighthouse Beach Cafe. Serves breakfast, lunch, tapas style dinners (Oct-Mar) & is fully licensed for your enjoyment. A must for breakfast in whale season!! Located right on the beautiful Lighthouse Beach in Ballina in the Ballina Surf Club. Pop in and enjoy their simple but delicious cafe style food, great coffee from Botero (local coffee from Maclean) and house made desserts. They are Fully Licensed so if a glass of wine or cold beer overlooking the beach sounds appealing, then this is the venue for you!